This complete weight loss system is designed to give you MAXIMUM weight loss results. 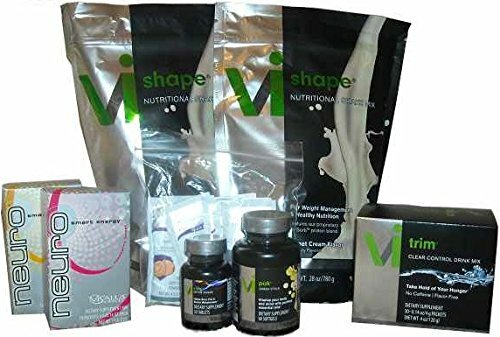 The Vi Shape meal replacement shake is the best tasting shake on the market. It comes packed with nutrition and is low sugar. Vi Slim is a thermogenic fat burner that gently increases your fat burning rate. Vi Trim contains the power of Garcinia Cambogia. Add in our Nutra-Bars and Nutra-Cookies and our complete omega oils complex to help your body function at the highest level. Nutra-Bars and Nutra-Cookies help keep you satisfied. Be the first to review “ViSalus Thermogenic Fat Burning Weight Loss Supplement Transformation Kit” Click here to cancel reply.